A sigh of relief was heard worldwide with today’s (July 3) successful launch to orbit of the unmanned Progress 60 cargo freighter atop a Soyuz-U booster from the Baikonur Cosmodrome, signifying the restoration of Russia’s critical cargo lifeline to the International Space Station (ISS), some two months after the devastating launch failure of the prior Progress 59 spaceship on April 28. Friday’s triumphant Progress launch also comes just five days after America’s cargo deliveries to the ISS were put on hold following the spectacular failure of a commercial SpaceX Falcon 9 rocket launched from the Florida Space Coast on Sunday, June 28, carrying the unpiloted SpaceX Dragon CRS-7 which broke up in flight. The Progress 60 resupply ship, also known as Progress M-28M, was loaded with over three tons of food, fuel, oxygen, science experiments, water and supplies on a crucial mission for the International Space Station crew to keep them stocked with urgently needed life support provisions and science experiments in the wake of the twin launch failures in April and June. The Soyuz-U carrier rocket launched Progress into blue skies at 10:55 a.m. local time in Baikonur (12:55 a.m. EDT) from the Baikonur Cosmodrome in Kazakhstan. The launch was webcast live on NASA TV. 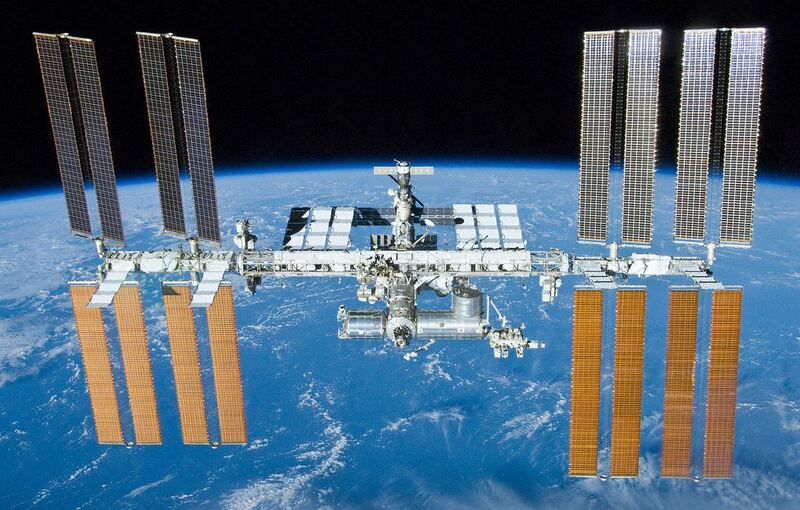 The International Space Station was flying about 249 miles over northwestern Sudan, near the border with Egypt and Libya, at the moment of liftoff. Note: See an exquisite photo of the Egyptian pyramid photographed from the ISS in my recent story – here. After successfully separating from the third stage Progress reach its preliminary orbit less than 10 minutes after launch from Baikonur and deployed its solar arrays and navigational antennas as planned. Live video was received from Progress after achieving orbit showing a beautiful view of the Earth below. A two day chase of 34 orbits of Earth over the next two days will bring the cargo craft to the vicinity of the station for a planned docking to the Russian segment of the orbiting laboratory at 3:13 a.m. Sunday, July 5. NASA TV will provide live coverage of the arrival and docking operation to the Pirs Docking Compartment starting at 2:30 a.m. EDT on Sunday, July 5. NASA astronaut Scott Kelly and Russian cosmonauts Mikhail Kornienko and Gennady Padalka are currently living and working aboard the station as the initial trio of Expedition 44 following the safe departure and landing of the three person Expedition 43 crew in mid June. Kelly and Kornienko comprise the first ever 1 Year Crew to serve aboard the ISS and are about three months into their stay in space. In the span of just the past eight months, three launches of unmanned cargo delivery runs to the space station have failed involving both American and Russian rockets. The cargo ships function as a railroad to space and function as the lifeline to keep the station continuously crewed and functioning. Without periodic resupply by visiting vehicles from the partner nations the ISS cannot continue to operate. The Orbital Sciences Antares/Cygnus Orb 3 mission exploded in a massive and frightening fireball on October 28, 2014 which I witnessed from the press site from NASA Wallops in Virginia. The Russian Soyuz/Progress 59 mission failed after the cargo vessel separated from the Soyuz booster rockets third stage and spun wildly out of control on April 28, 2015 and eventually crashed weeks later during an uncontrolled plummet back to Earth over the ocean on May 8. The loss was traced to an abnormal third stage separation event. Roscosmos, the Russian Federal Space Agency, switched this Progress vehicle to an older version of the Soyuz rocket which had a different third stage configuration that was not involved in the April failure. Russian officials decided to move up the launch by about a month from its originally planned launch date in August in order to restock the station crew with critically needed supplies as soon as practical. Following Sundays SpaceX cargo launch failure, the over 6100 pounds of new supplies on Progress are urgently needed more than ever before. Loaded aboard are 1,146 pounds (520 kg) of propellant, 105 pounds (48 kg) of oxygen, 926 pounds (420 kg) of water and 3,071 pounds (1393 kg) pounds of crew supplies, provisions, research equipment, science experiments, tools and spare parts and parcels for the crew. In the wake of the trio of American and Russian launch failures, the crews current enjoy only about four month of supplies reserves compared to the more desirable six months stockpile in case of launch mishaps. The SpaceX CRS-7 Dragon was loaded with over 4,000 pounds (1987 kg) of research experiments, an EVA spacesuit, water filtration equipment, spare parts, gear, computer equipment, high pressure tanks of oxygen and nitrogen supply gases, food, water and clothing for the astronaut and cosmonaut crews comprising Expeditions 44 and 45. These included critical materials for the science and research investigations for the first ever one-year crew to serve aboard the ISS – comprising Kelly and Kornienko. The Dragon was also packed with the first of two new International Docking Adapters (IDS’s) required for the new commercial crew space taxis to dock at the ISS starting in 2017. The three cargo launch failures so close together are unprecedented in the history of the ISS program over the past two decades. The first ever ‘One-Year Mission’ to the International Space Station (ISS) started with a bang today, March 27, with the spectacular night time launch of the Russian/American crew from the Baikonur Cosmodrome in Kazakhstan at 3:42 p.m. EDT Friday (1:42 a.m., March 28 in Baikonur and culminated with a flawless docking this evening. NASA astronaut Scott Kelly and Russian cosmonauts Mikhail Kornienko and Gennady Padalka launched aboard a Soyuz TMA-16M spacecraft to the International Space Station precisely on time today on the Expedition 43 mission. The crew rocketed to orbit from the same pad as Russia’s Yuri Gagarin, the first human in space. Kelly and Kornienko will spend about a year living and working aboard the space station on the marathon mission. Padalka will remain on board for six months. The goal is to use the massive orbiting outpost to provide critical knowledge to NASA and researchers hoping to better understand how the human body reacts and adapts to long-duration spaceflight and the harsh environment of space. The pathfinding mission is about double the normal time of most expeditions to the Earth orbiting space station, which normally last four to six months. The one-year mission is among the first concrete steps to start fulfilling NASA’s “Journey to Mars” objective of sending “Humans to Mars” in the 2030s. “Scott Kelly’s mission is critical to advancing the administration’s plan to send humans on a journey to Mars,” said NASA Administrator Charles Bolden, in a statement. This evening the three man international crew successfully rendezvous and docked at the ISS at the Poisk module at 9:33 p.m. EDT – just four orbits and six hours after liftoff. Docking took place about 253 kilometers off the western coast of Colombia, South America approximately 5 hours and 51 minutes after today’s flawless launch from Baikonur. The crews are scheduled to open the hatches between the Soyuz and ISS at about 11:15 p.m. EDT/315 GMT this evening after conducting pressure, leak and safety checks. The arrival of Kelly, Kornienko and Padalka returns the massive orbiting outpost to its full six person crew complement. The trio joins the current three person station crew comprising Expedition 43 commander Terry Virts of NASA, as well as flight engineers Samantha Cristoforetti of ESA (European Space Agency) and Anton Shkaplerov of Roscosmos, who have been aboard the complex since November 2014. “Welcome aboard #Soyuz TMA-16M with Genna, Scott, and Misha- we just had a succesful docking,” tweeted Virts this evening post docking. The 1 Year mission will provide baseline knowledge to NASA and its station partners – Roscosmos, ESA, CSA, JAXA – on how to prepare to send humans on lengthy deep space missions to Mars and other destinations in our Solar System. A round-trip journey to Mars is likely to last three years or more! So we must determine how humans and their interactions can withstand the rigors of very long trips in space, completely independent of Earth. Astronaut Scott Kelly will become the first American to live and work aboard the orbiting laboratory for a year-long mission and set a new American duration record. Scott Kelly and Russian Cosmonauts Kornienko and Padalka are all veteran space fliers. They have been in training for over two years since being selected in Nov. 2012. No American has ever spent anywhere near a year in space. Four Russian cosmonauts – Valery Polyakov, Sergei Avdeyev, Vladimir Titov and Musa Manarov – conducted long duration stays of about a year or more in space aboard the Mir Space Station in the 1980s and 1990s. Kelly and Kornienko will stay aboard the ISS until March 3, 2016, when they return to Earth on the Soyuz TMA-18M after 342 days in space. Kelly’s combined total of 522 days in space, will enable him to surpass current U.S. record holder Mike Fincke’s mark of 382 days. Padalka will return in September after a six month stint, making him the world’s most experienced spaceflyer with a combined five mission total of 878 days in space. They will conduct hundreds of science experiments focusing on at least 7 broad areas of investigation including medical, psychological and biomedical challenges faced by astronauts during long-duration space flight, as well as the long term effects of weightlessness and space radiation on the human body. Another very unique science aspect of the mission involves comparative medical studies with Kelly’s identical twin brother, former NASA astronaut and shuttle commander Mark Kelly. “They will participate in a number of comparative genetic studies, including the collection of blood samples as well as psychological and physical tests. This research will compare data from the genetically identical Kelly brothers to identify any subtle changes caused by spaceflight,” says NASA. Scott Kelly is a veteran NASA Space Shuttle commander who has previously flown to space three times aboard both the Shuttle and Soyuz. He also served as a space station commander during a previous six-month stay onboard. Good luck and Godspeed to Kelly, Kornienko and Padalka – starting humanity on the road to Mars !! At long last, the first ever crew embarking on a 1 year mission to the International Space Station (ISS) – comprising NASA astronaut Scott Kelly and Russian cosmonaut Mikhail Kornienko (both veterans) – is slated for blastoff just hours from now aboard a Soyuz capsule from the Baikonur Cosmodrome, Kazakhstan. The history making launch is scheduled for 3:42 p.m. EDT/1942 GMT Friday, March 27 (March 28, Kazakh time) – with veteran Russian cosmonaut Gennady Padalka rounding out the three man crew of Expedition 43. The Soyuz spacecraft and rocket have been rolled out to the launch pad for the one-year crew. The crew is boarding the Soyuz. NASA TV live launch coverage begins at 2:30 p.m. EDT. The crew will rendezvous and dock at the ISS at the Poisk module around 9:36 p.m EDT – only about four orbits and six hours after liftoff. 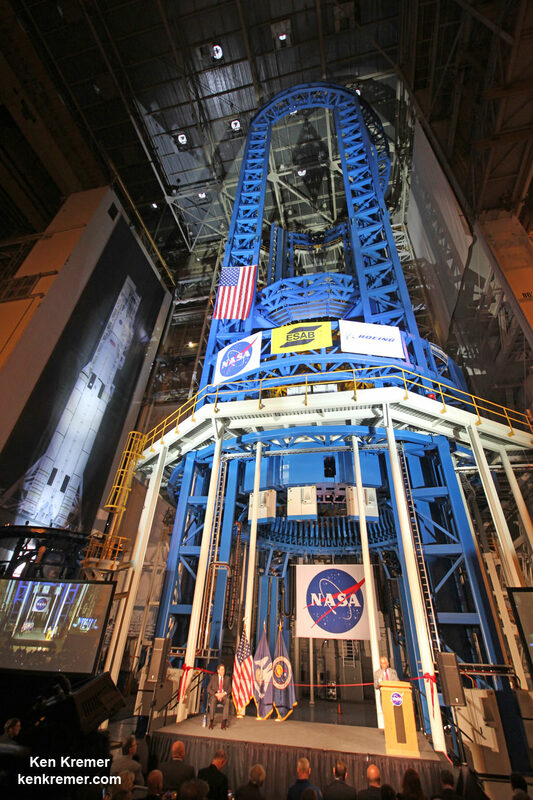 Hatch opening is schedule for about 11:15 p.m. EDT this evening. The one-year mission represents concrete first steps toward start fulfilling NASA’s “Journey to Mars” objective and sending “Humans to Mars” in the 2030s. “The one-year mission in space, tests the limits of human research, space exploration and the human spirit,” says NASA. The pathfinding mission is about double the normal time of most expeditions to the Earth orbiting space station, which last four to six months. The goal is to provide critical knowledge to NASA and researchers hoping to better understand how the human body reacts and adapts to long-duration spaceflight. The 1 Year mission will provide baseline knowledge to NASA and its station partners – Roscosmos, ESA, CSA, JAXA – on how to prepare to send humans on lengthy deep space mission to Mars and other destinations into our Solar System. Astronaut Scott Kelly will become the first American to live and work aboard the orbiting laboratory for a year-long mission and set a new American record. Scott Kelly and Russian Cosmonauts Kornienko and Padalka are all veteran spacefliers. They will conduct hundreds of science experiments focusing on at least 7 broad areas of investigation including medical, psychological and biomedical challenges faced by astronauts during long-duration space flight. Kelly is a veteran NASA Space Shuttle commander who has previously flown to space aboard both the Shuttle and Soyuz. He also served as a space station commander during a previous six-month stay onboard. Kelly was recently featured in a cover story at Time magazine. President Obama gave a shout out to NASA Astronaut Scott Kelly and his upcoming 1 year mission to the International Space Station (ISS) at the 2015 State of the Union address to the US Congress on Tuesday evening, Jan. 20, 2015. Kelly’s flight will pave the way for NASA’s goal to send astronaut crews to Mars by the 2030s. They will launch in the Orion crew vehicle atop the agencies mammoth new Space Launch System (SLS) rocket, simultaneously under development. Read my coverage of Orion and SLS progress to stay up to date – including first hand from onsite at the Kennedy Space Center press site for the launch of Orion EFT-1 on Dec. 5, 2015. Good luck and Godspeed to Kelly, Kornienko and Padalka – starting on the road to Mars ! !